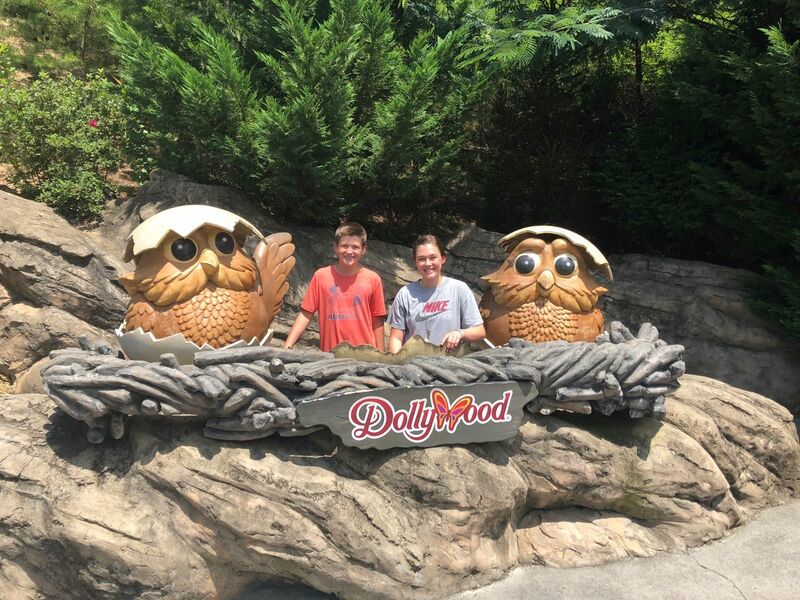 Disclosure: Dollywood provided my family with two tickets to Dollywood and Splash Country. All opinions and text are my own. We have a huge gap in our kids’ ages with our oldest two being 14 and 12 while our little ones are 3 and 20 months old. Typically, we vacation as a family, but my in-laws just moved to town, so we thought we would plan a fun getaway with just the big kids while they kept the little girls for us. Although our little girls would enjoy the trip too, we wanted to be able to invest special time with our big kids since they are growing so quickly before school started back. Pigeon Forge has been one of our absolute most favorite quick vacation destinations for as long as I can remember. In fact, my family used to travel there when I was a little girl. Since we only live about an hour and forty-five minutes away we take quick getaways to Pigeon Forge as often as we can. 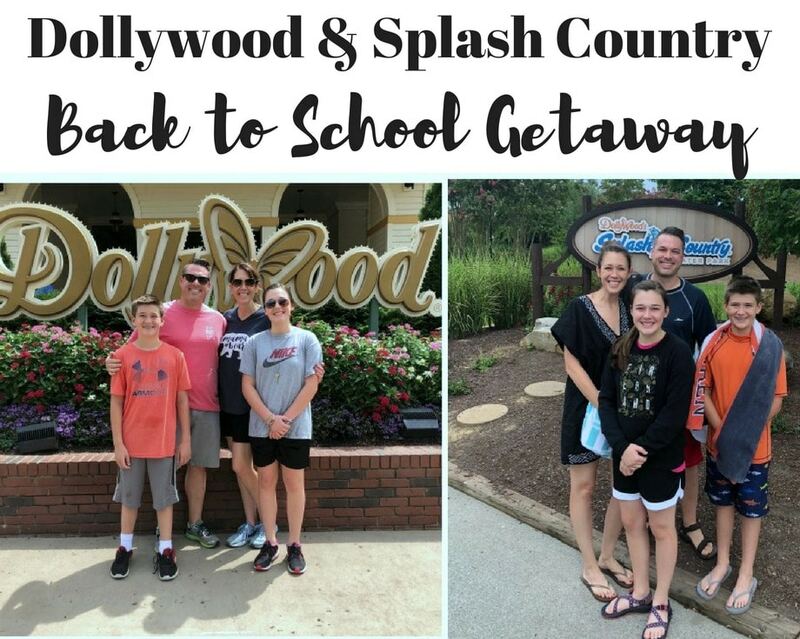 Our family especially loves Dollywood and Splash Country. 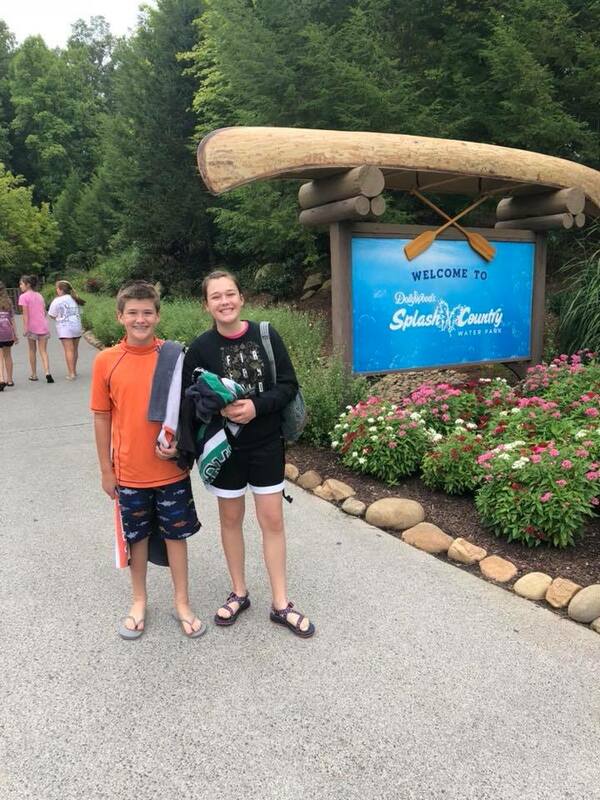 Since our big kids’ youth group was planning a trip to Splash Country and my husband and I are youth workers, we decided to plan our getaway so that we could meet our youth group at Splash Country after we went to Dollywood. We started our day early and headed to Dollywood so we could enjoy our day and go out to eat at our favorite restaurant later that night. It wasn’t very crowded at all and we were able to walk on to most rides. One of my most favorite things about Dollywood is how clean the entire park always is. No matter how busy it is that day, the bathrooms have always been clean and well stocked as well as the rest of the park. I purposefully kept my phone put away most of the day becuase I wanted to be fully present with my family. Having had two babies in the past four years, I’ve either been pregnant or caring for a baby on all of our trips to Dollywood the past couple of years, so I was especially excited to ride all the rides with my hubby and big kids. Here we are after riding the Drop Line, which is a 230-foot tall free fall experience. It’s really cool because you get a gorgeous view of the park and the surrounding mountains. We also got a sneak peek of the brand new Wildwood Grove, which is under construction and opening in 2o19. 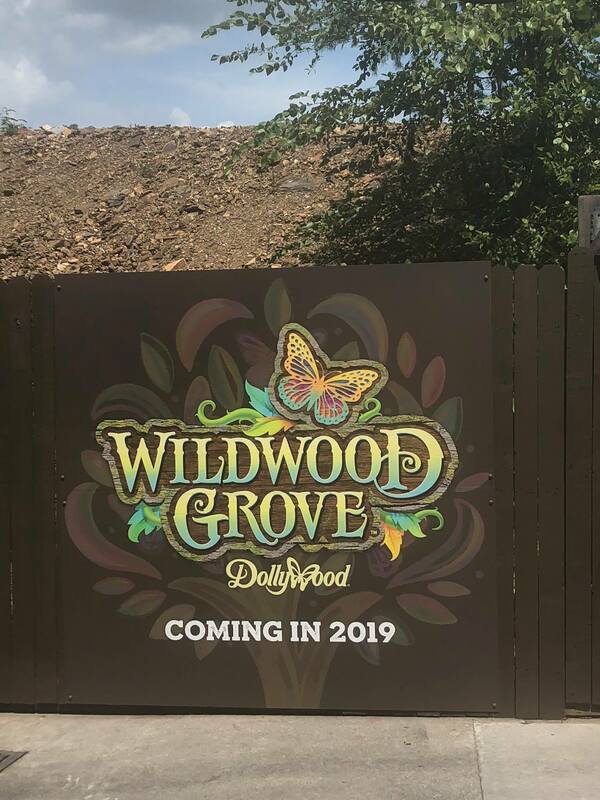 Dollywood’s Wildwood Grove, a 37 million dollar expansion, is coming in 2019. It’s the largest expansion in Dollywood’s history. Besides new eateries, Wildwood Grove will feature 11 new attractions including 6 rides. Continuing with their commitment to being family friendly, Dollywood’s goal is to bring the family together in a magical setting. I am most excited about a 4,000 square foot indoor play place, while my kids will love the new splash area and the rides. We take pictures of our kids every trip to Dollywood right here with the Eagles, so we can look back and see how much they have grown. 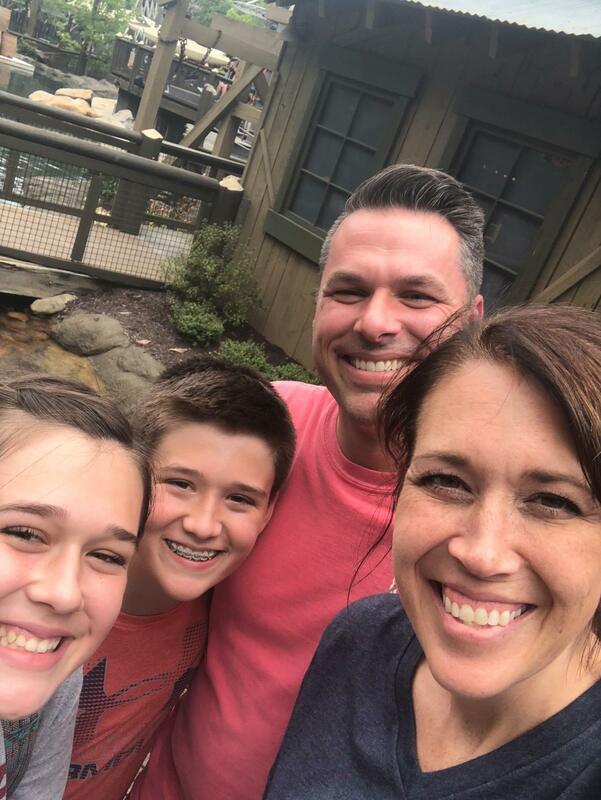 Dollywood is somewhere that our entire family loves to visit and this trip with our big kids before school starts back was such a treat. We had such a great day. Then, we met our youth group at Splash Country. I can’t tell you how long it’s been since I’ve been able to ride water slides. I know I haven’t in the past four or five years so I might have been more excited than all of our students. I don’t have a lot of pictures from our trip that day, because, besides a brief break due to rain, this momma had a blast riding water slides. 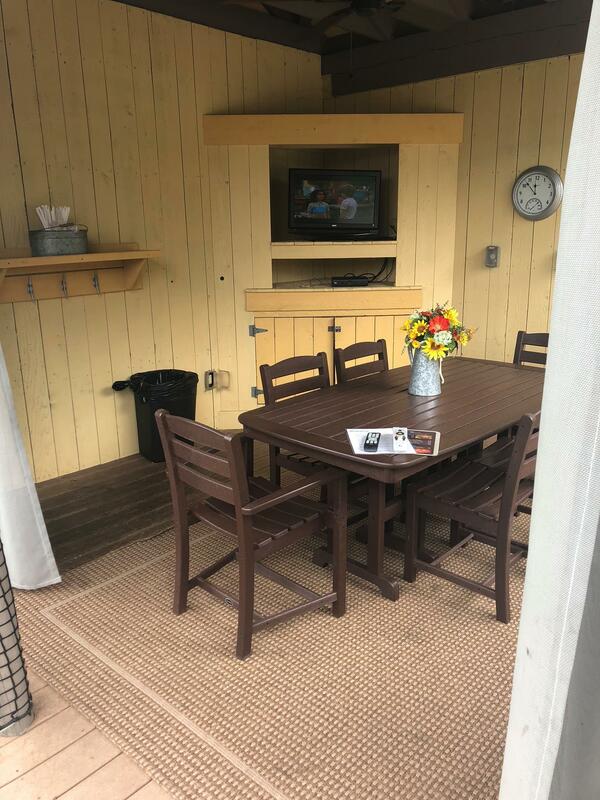 One thing I wanted to show you is this cabana. Instead of all the students in our youth group renting individual lockers, we rented a cabana instead, and it was fabulous. Not only did we have somewhere comfortable to sit when the rain came, but there was enough room to store all of our belongings, and we had a great place to meet back at various times of the day. Right outside of our cabana we had a large fantastic sun deck. 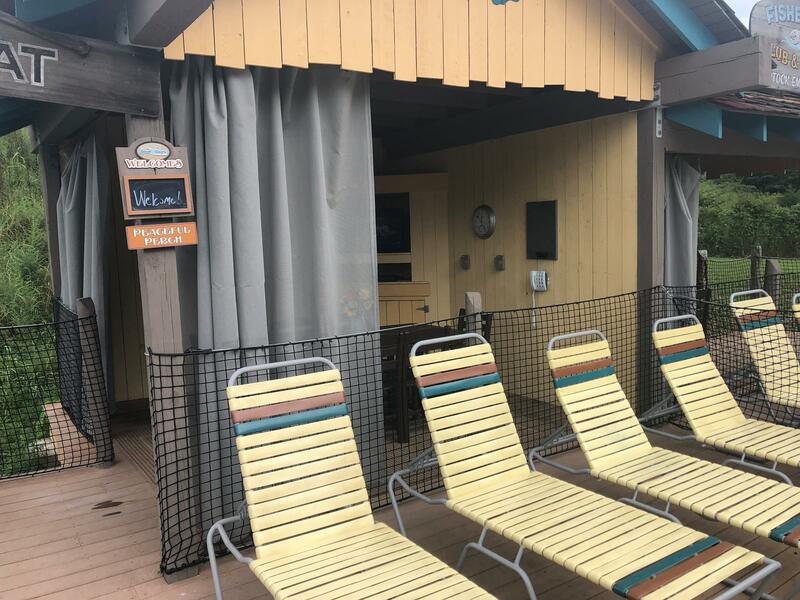 I had seen the cabanas during our last trip but had no idea just how convenient it would be for us. I definitely see us renting one again. Because we don’t buy our kids a lot of stuff during the year, we save up for quick getaways together like this trip for our big kids before school started back. As a family, we are passionate about traditions and making memories together. I know we will always treasure this trip and the purposeful time we spent together making memories.